Just wanted to give you a heads-up on the new Electronic Magazine, the first issue of which was recently published. The brainchild of Push, who edited Muzik between 1995 and 1998 (having previously been a writer for Melody Maker), Electronic could be described as a Mojo for the electronic generation. 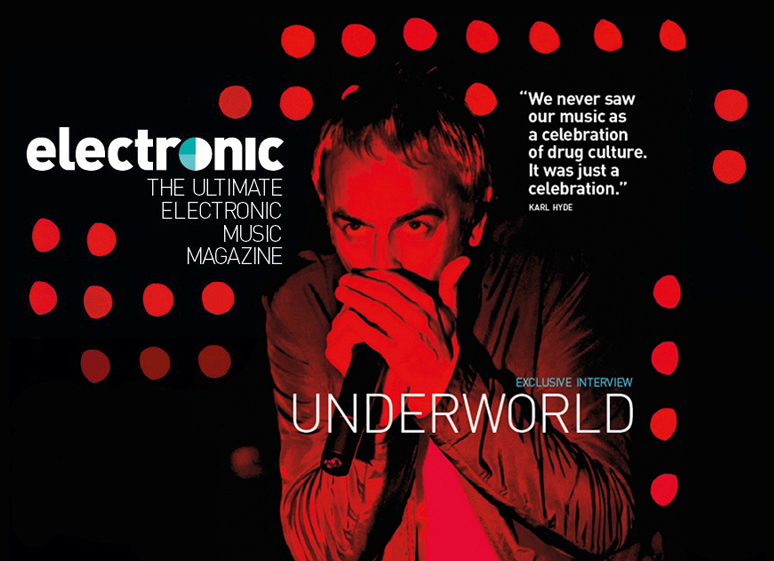 The launch issue included articles about the making of the classic 1981 Human League album, ‘Dare’, a 1977 archive interview with Kraftwerk, which originally appeared in Andy Warhol’s Interview Magazine, a piece looking at the history of Techno, another highlighting Matthew Herbert’s revival of the pioneering BBC Radiophonic Workshop, with further articles focusing on A Guy Called Gerald, Can, Gary Numan and Underworld. All this, as they say, and much much more, plus a free CD, ‘Back To The Phuture’, including tracks by Roxy Music, Can, OMD, Devo, Human League, Heaven 17 and Yazoo. That mix from the Bunker is one of the best mixes I’ve heard in a long while – i’m loving it and I’ve only had the chance to get 2 hours into it so far so far! Can I ask what formats/equipment you used for it? From a professional and creative point of view I would love to know how you put it together as for a live mix it’s flawless and constantly inventive and entertaining. Nice one Adrian – wouldn’t go as far as to say flawless though, I can hear transitions I thought could have been smoother / tighter, but that’s always the way with live mixes as opposed to pre-recorded. Overall, however, I’m really pleased with it. Equipment wise I’m playing from CD, using 2 x CDJ2000 via a Pioneer DJM900 mixer. Over the top of the music I’m spinning sounds / effects / samples from tape via a Revox B77 reel-to-reel. Most of the tracks I play are re-edits, both my own and other peoples’. Hope you enjoy the concluding hour and a half.